This Python 3.4 script is an attempt to build a simple web page of primary sources for a single subject. 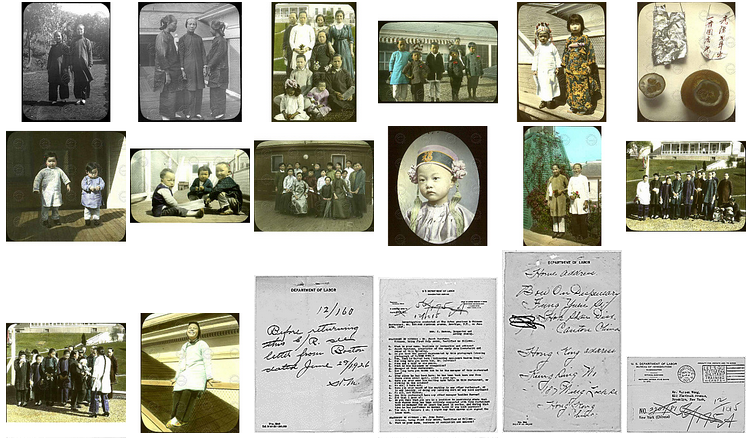 It queries resources in digital archives and special collections to retrieve metadata. It also downloads the thumbnails and URLS for the resources. 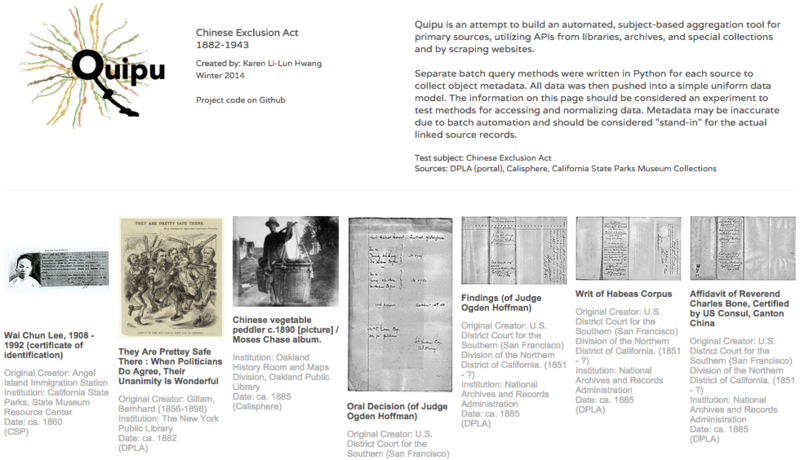 This code is written to specifically find materials on the Chinese Exclusion Act. The goal is to test possible methods for creating a subject-based tool for researchers and also to test the reliability of the metadata obtained in using digital repository APIs and by scraping web sites. The metadata is relatively reliable, but not perfect, especially dates. A file of subject terms collected including a count of the objects where the term appears. A running file that dumps metadata for an object once processed. This is to assist in troubleshooting problem areas when running the script.